This week, I knew early on what my topic would be. For the past couple years, I’ve followed the Obama administration’s Clean Power Plan (CPP)—including offering public comment at one of the EPA’S “listening sessions” in Atlanta. Back in February, I wrote about the Supreme Court’s historic stay. On Tuesday, September 27, more history was made when the full DC Appeals Court heard oral arguments regarding the CPP—from both defenders and detractors. There, history was made again: the full court engaged in the arguments for the full day. Despite the historic nature of the case, few people are following it—or even knew about the CPP’s day in the Appeals Court. For my weekly radio show: America’s Voice for Energy, I interviewed two of the lawyers involved in the case who were in the room for the full oral arguments. Their insights, along with news reports, resulted in this week’s column: Striking down Obama’s climate legacy has its day in court (attached and pasted-in-below). Executive Director, Energy Makes America Great, Inc.
Executive Director, Energy Makes America Great Inc.
EPA published the final CPP rule in the Federal Register on October 2015. More than two dozen states and a variety of industry groups and businesses immediately filed challenges against it—with a final bipartisan coalition of more than 150 entities including 27 states, 24 trade associations, 37 electric coops, 3 labor unions, and about a half dozen nonprofits. On January 21, the U.S. Court of Appeals for the District of Columbia denied a request for a stay that would have prevented implementation of the rule until the court challenges were resolved. On February 9, the Supreme Court of the U.S. (SCOTUS), in an unprecedented action, before the case was heard by the lower court, overruled, and issued a stay that delays enforcement of CPP. The Court of Appeals was scheduled to hear oral arguments before a three-judge panel on June 2, but pushed them to September 27 to be heard by the full court—something the court almost never does (though for issues involving “a question of exceptional importance” procedural rules allow for the case to proceed directly to a hearing before the full appeals court). The court, which is already fully briefed on a case before hearing the oral arguments, typically allows a maximum 60-90 minutes to hear both sides and occasionally, with an extremely complex case, will allow two hours. The oral argument phase allows the judges to interact with lawyers from both sides and with each other. However, for the CPP, the court scheduled a morning session focusing on the EPA’s authority to promulgate the rule and an afternoon session on the constitutional claims against the rule—which ended up totaling nearly 7 hours. Jeff Holmstead, a partner with Bracewell Law, representing one of the lead challengers, told me this was the only time the full court has sat all day to hear a case. Judge Thomas Griffith, a Bush appointee, questioned: “Why isn’t this debate going on in the floor of the Senate?” In a post-oral argument press conference, Senator James Inhofe (R-OK) pointed out that the debate has been held on the Senate floor in the form of cap-and-trade legislation—which has failed repeatedly over a 15-year period. Therefore, he said, the Obama administration has tried to do through regulation what the Senate wouldn’t do through legislation. The day in court featured many of the nation’s best oral advocates and both sides feel good about how the case was presented. Now, the judges will deliberate and discuss. Whatever decision they come to, experts agree that the losing side will appeal and that the case will end up in front of the Supreme Court—most likely in the 2017/2018 session with a decision possible as late as June 2018. There, the ultimate result really rests in the presidential election, as the current SCOTUS make up will be changed with the addition of the ninth Justice, who will be appointed by the November 8 winner—and that Justice will reflect the new president’s ideology. Hillary Clinton has promised to continue Obama’s climate change policies while Donald Trump has announced he’ll rescind the CPP and cancel the Paris Climate Agreement. The CPP is about more than the higher electricity costs and decreased grid reliability, which results from heavy reliance on wind and solar energy as CPP requires, and, as the South Australian experiment proves, doesn’t work. It has far-reaching impacts. WSJ states: “Even a partial rebuke of the Clean Power Plan could make it impossible for the U.S. to hit the goals Mr. Obama pledged in the Paris climate deal.” With Obama’s climate legacy at stake, the international community is paying close attention. And Americans should be. Our energy stability hangs in the balance. 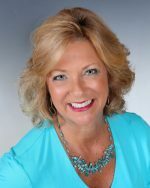 The author of Energy Freedom, Marita Noon serves as the executive director for Energy Makes America Great Inc., and the companion educational organization, the Citizens’ Alliance for Responsible Energy (CARE). She hosts a weekly radio program: America’s Voice for Energy—which expands on the content of her weekly column. Follow her @EnergyRabbit.